Where did the last three months go? And how did it get to be Christmas next week?!! I'm sorry that I haven't made an appearance in the last three months. Life just got too busy to keep up here. I haven't had time to craft and no crafts mean no posts for me. I haven't even made any gifts or done any Christmas crafts this year. All gifts were store bought and I used decorations made in years past. 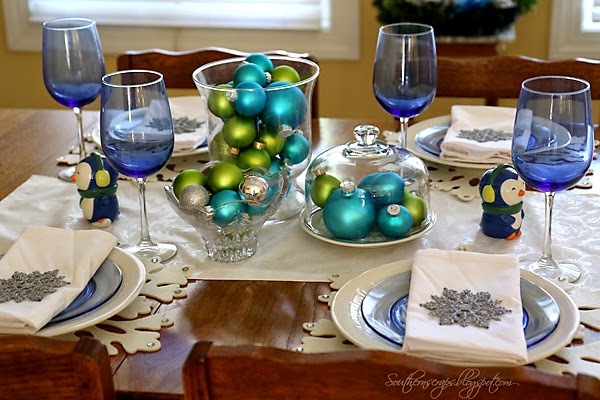 Today I'm sharing my winter wonderland tablescape. 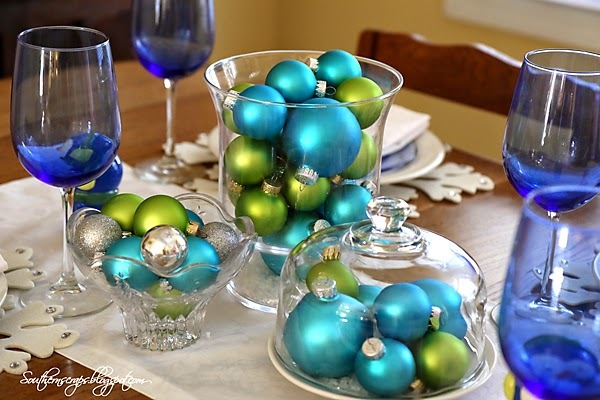 I used a combination of blue ,white and green. 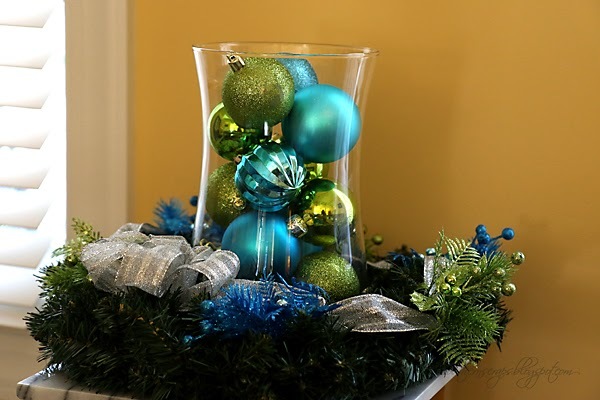 I kept it simple and used a hurricane, bowl, and cloche filled with glass ornaments as a centerpiece. 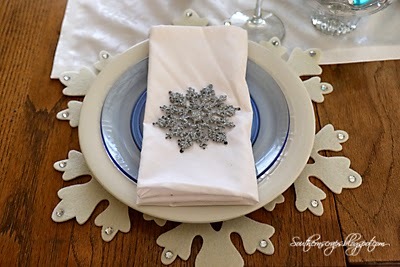 Each place setting has a snowflake ornament (likely purchased at Dollar tree, Walmart, or Target I the past) and new snowflake placemats purchased at Pier One. 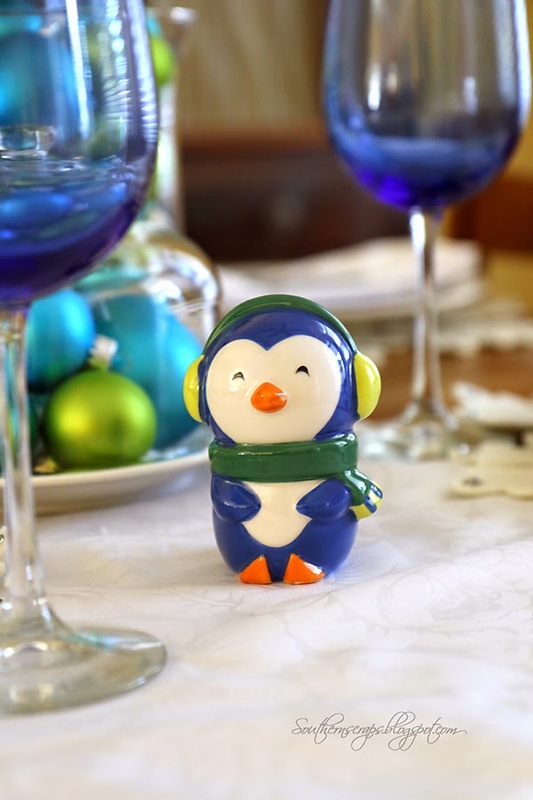 I used these adorable penguin salt and pepper shakers purchased at Target last year. 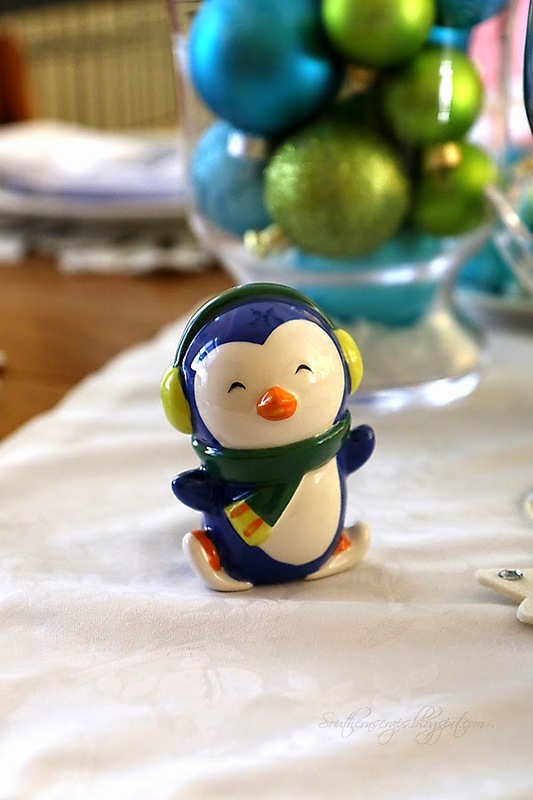 I think they go perfectly with a winter wonderland. I kept everything fairly simple but I'm pleased with the results. Sometimes simple is best.